Since 1 April 2015, Dr Matthias Kirchherr has held the position of Chief Sales Officer (CSO) for Sales and Marketing within U.I. Lapp GmbH. 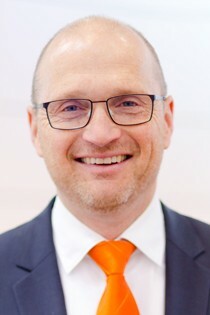 Dr Matthias Kirchherr, born in 1962, studied mechanical engineering and business administration in Stuttgart and Saarbrücken respectively and has been the Managing Director of several renowned international companies, most recently Leuze Electronic and Lenze SE. As someone who is very familiar with the sector, he has brought plenty of sales experience with him, especially in the area of mechanical and plant engineering, in which he has amounted over 20 years of experience. As the CSO for Sales and Marketing, he is now not only responsible for the region of Europe, but also South America, Africa and the United Arab Emirates. "I can see great opportunities in the expansion of the solutions business. As ever, the product business remains our foundation, but we also need to work upon providing our customers with solution packages which give them added value. We want to accompany major customers who are expanding to other countries with our customised solution concepts." He also sees additional opportunities for growth in the development of new markets and industries.